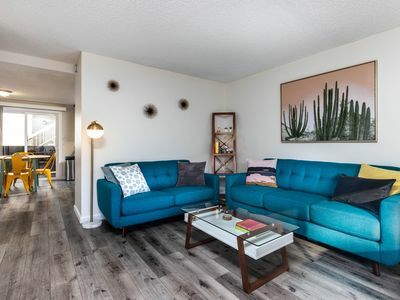 Venice Beach is a Los Angeles beach town that effortlessly combines the spirit of a little bohemia with a sophisticated and cosmopolitan flair, all while sitting on some of Southern California’s most pristine beaches. 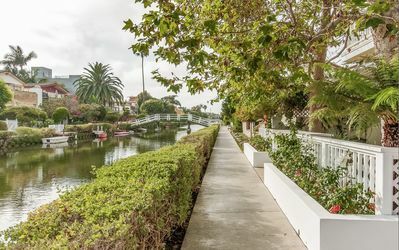 A vacation to this region should be matched with the utmost comfort in an idyllic setting, which is exactly what you will find when you stay at the Venice Beach Villa. 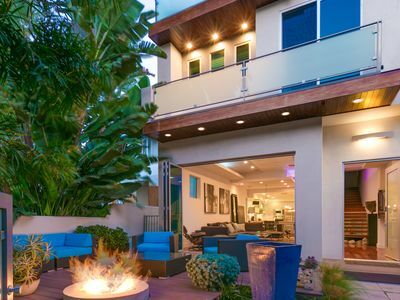 Throughout the home, you will find optimal use of glass that spans from the staircase railings to the impressively sized windows, offering a seamless convergence of indoor and outdoor living. 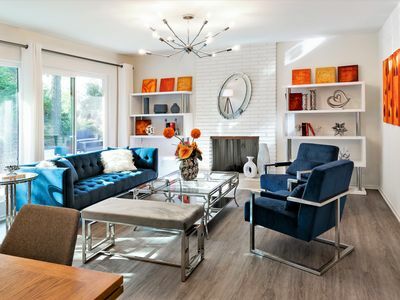 From the comfortably furnished living room, open a set of Nanawall doors to reveal a private and beautifully appointed deck with both fire a fire pit and water features. 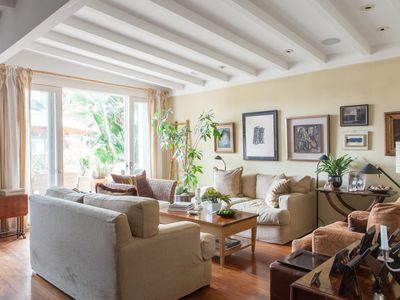 This is the perfect place to entertain guests over evening cocktails and conversation, or simply lay back and luxuriate in Venice’s perfect weather. 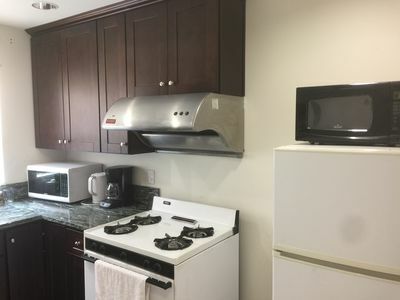 A fully-equipped kitchen is ideal for nights that you choose to cook your own meals at home, with high-end Viking stainless steel appliances that please the most discriminating chefs. 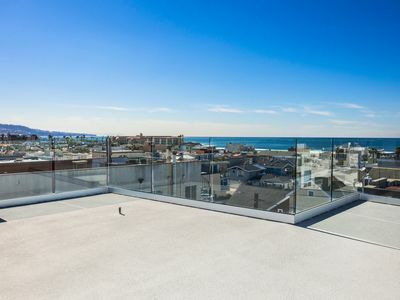 Perhaps the greatest perk of all at the Venice Beach Villa – a rooftop deck offers panoramic views of the gorgeous mountain landscape and sprawling urban terrain. 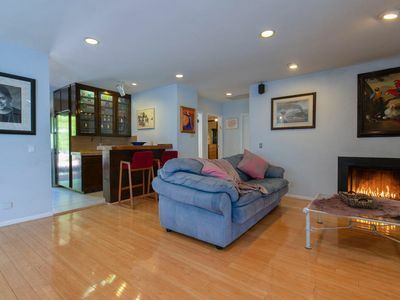 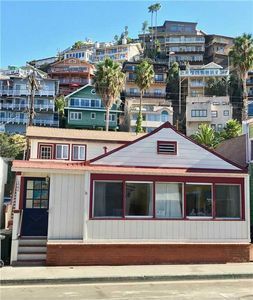 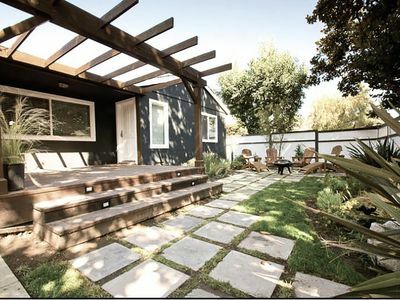 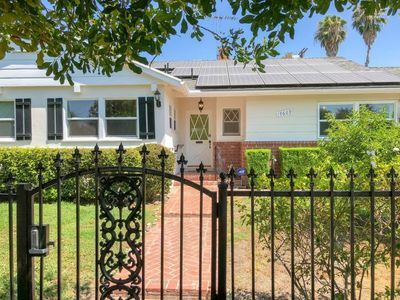 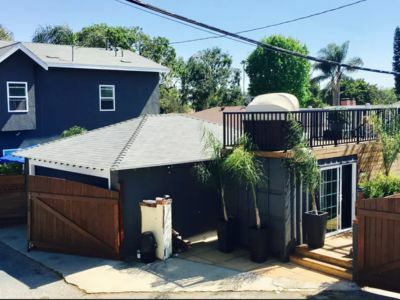 Three bedrooms can accommodate up to six guests at this Los Angeles vacation rental, making it ideal for a small family vacation or intimate getaway between a group of friends. 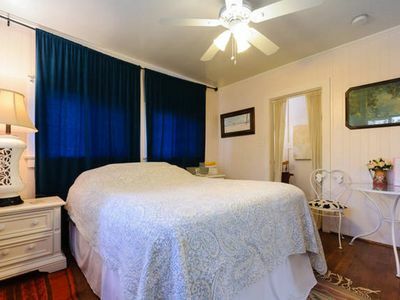 The master suite is especially luxurious, with a fireplace, built-in sound system, and access to a private balcony. 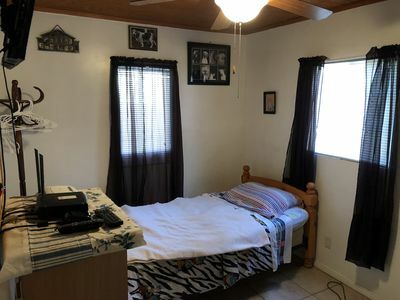 In the master bathroom you will find numerous opportunities for the ultimate pampering experience, including a Jacuzzi tub and sauna shower. 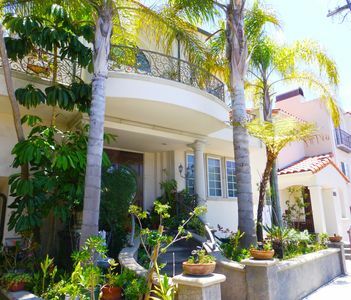 Additional amenities of this luxury Los Angeles villa include ELAN touch screens, and a Control4 security and entertainment system. 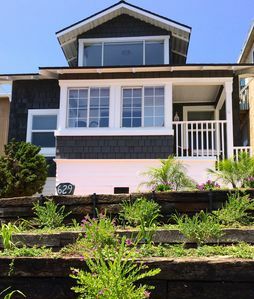 Centrally located in the heart of town, this Venice Beach vacation home offers guests the best of both worlds- easy access to the area’s most renowned attractions and the serenity fostered by a residential area. 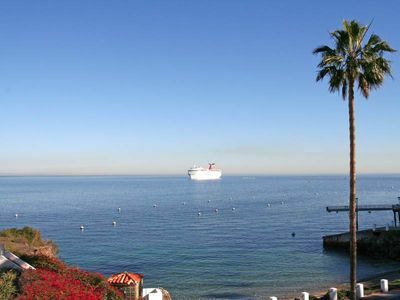 Enjoy the vacation of a lifetime in one of Los Angeles’ most vibrant and coveted beach towns. 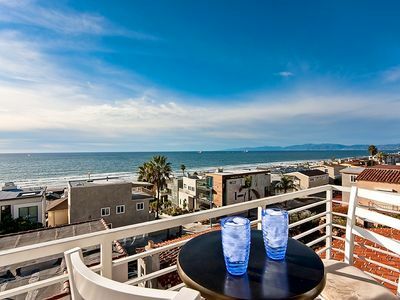 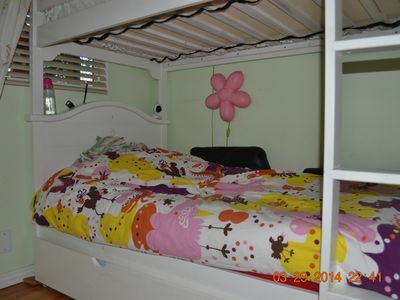 Book the Venice Beach Villa today through VacationLA. 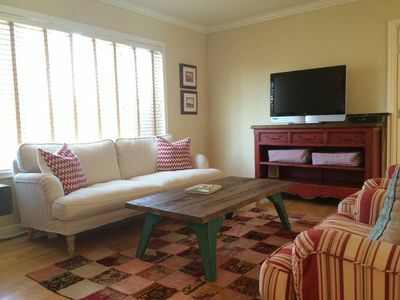 Spacious Contemporary Style Lower Guest Apartment, Private Entry, Walk To Beach!